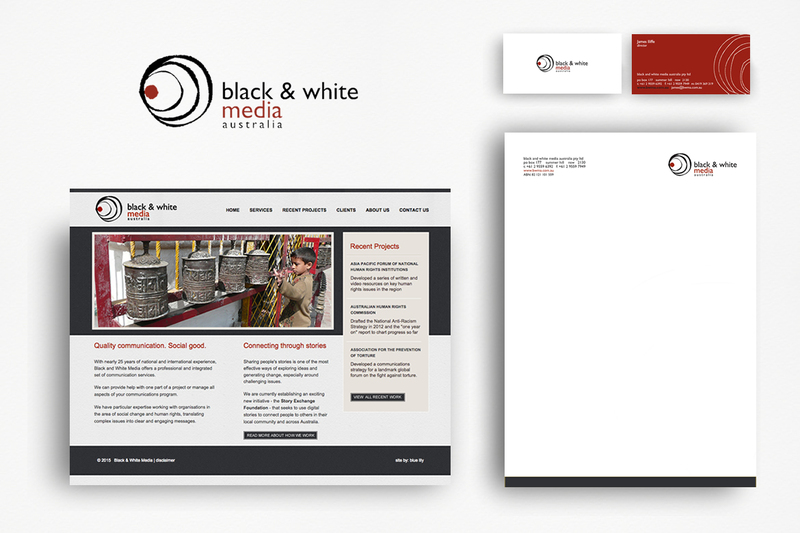 Black and White Media Australia are a highly successful communication company offering a unique range of services across differing markets. BWMA approached Blue Lily to brand their business and design their print and digital materials. The BWMA branding needed to be distinctive to reflect their unique business. Catering to a variety of clientele in a variety of industries – from corporate to human rights and social justice – as well as individuals – the brand needed both a professional quality as well as the raw personal aspect.